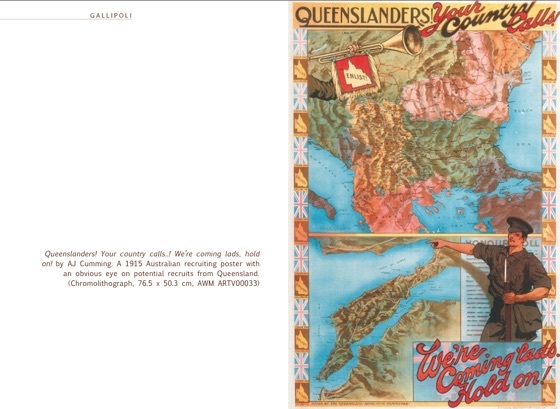 Gallipoli is the third book in the Australians in World War I series published by the Department of Veterans’ Affairs, Australia. This publication is now available as an eBook, bringing the contents and story to readers in a new and interactive style. The eBook includes the original text with more than one hundred photographs, some of which contain sound and visual effects. 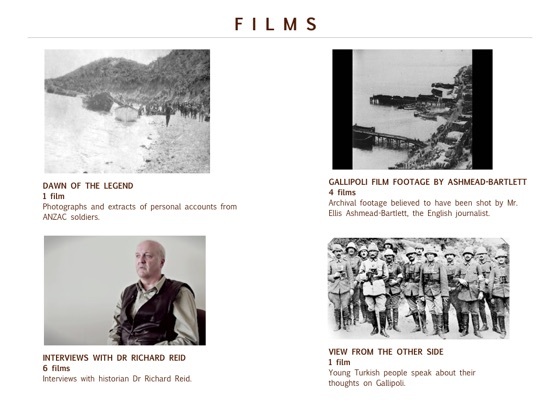 Rare film footage and additional films complement the book, as readers gain insightful discussions on the Gallipoli campaign from the author and historian, Dr Richard Reid. Moreover, young Turkish people provide their view from the other side and talk about what Gallipoli means to them. This eBook is accompanied by quality educational activities, which include seven historical inquiry questions and classroom ready activities. 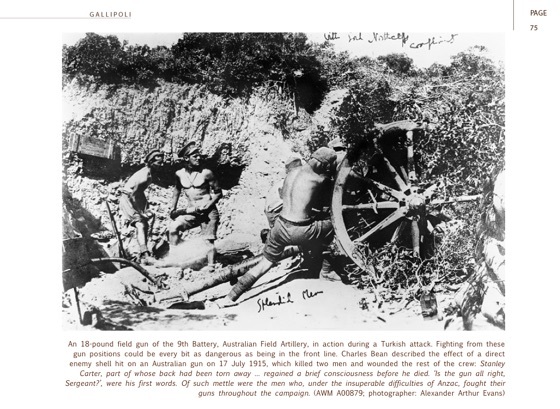 The eBook finishes with a quiz to highlight some of the interesting and quirky facts about the Gallipoli campaign. 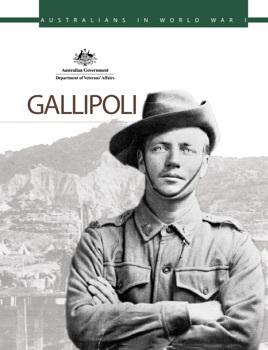 The development of this eBook is intended for all those who wish to honour the service and sacrifice of the soldiers, from all the nations, who served at Gallipoli. Loved the layout of the book. Great combination of video clips, archival footage, interviews and the sound track provided for some of the old photos really helped me to imagine what it would have been like to be there.